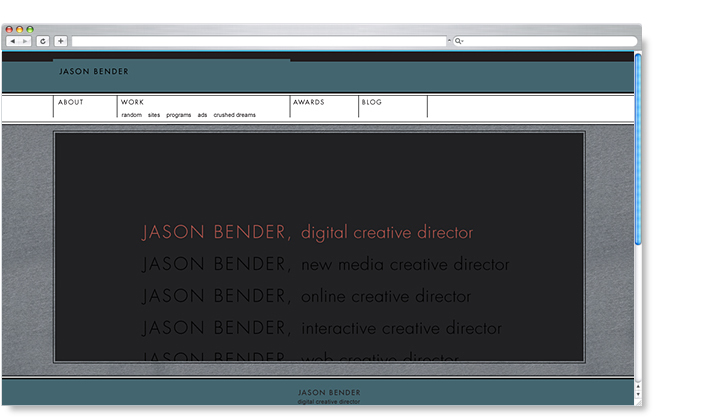 Award winning Digital Creative Director, Jason Bender, had been planning to revamp his online portfolio for some time. 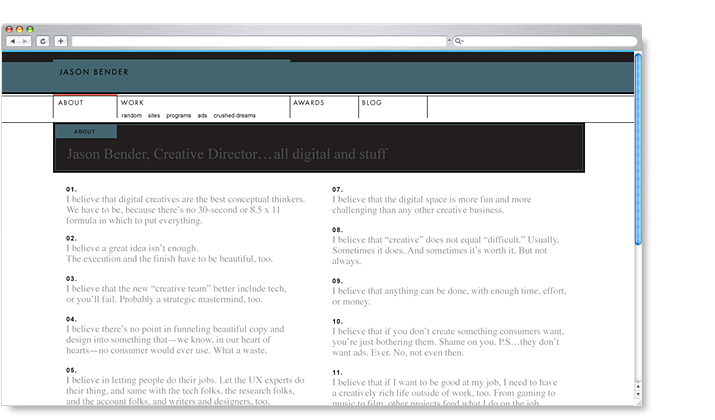 With plans in hand and a developer on call, Jason came to us looking to put a face to his site. We experimented with visual styles to represent both Jason's personality and professionalism. 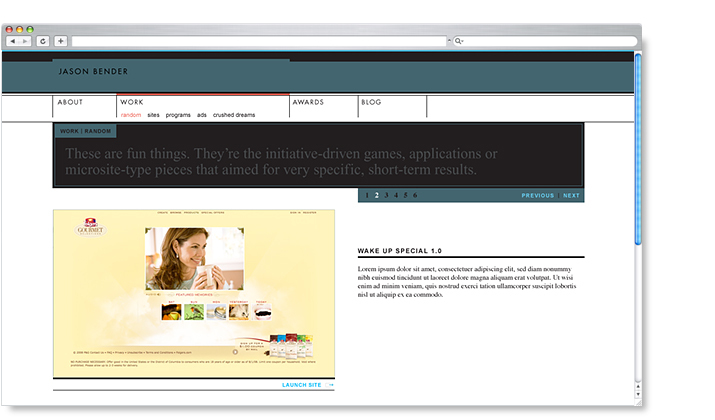 The resulting site is full of character and keeps Jason's talent and achievements in the spotlight.